The High Society Women’s Scarlet Snowboard is a perfect choice for all those people who want to enjoy a stable ride at an affordable price. The base of the board is given in such a manner that it remains stable throughout the ride. You can estimate the speed of your ride according to your need. 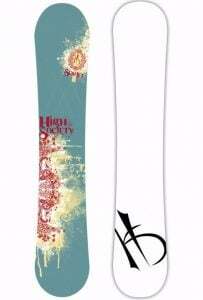 If you are an intermediate level and planning about improving your snowboarding, then the High Society Women’s Scarlet Snowboard is the right option right there. 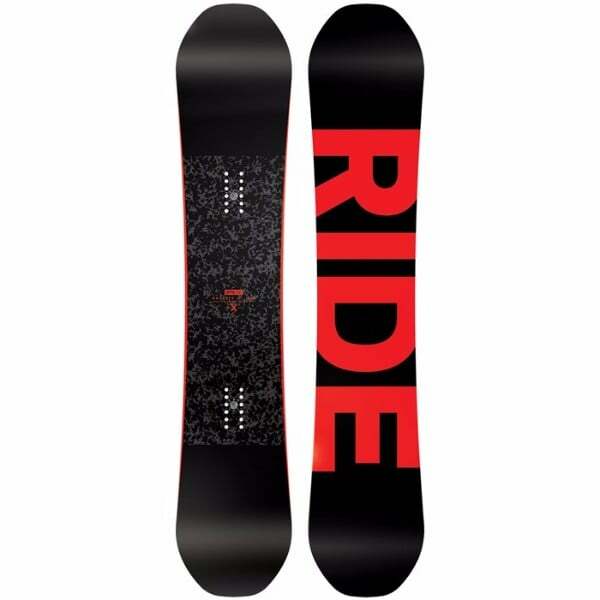 Or if you are an advanced level rider and looking forward to adding something new to your snowboarding then this board is also here to serve you. The High Society Scarlet Snowboard was specially designed by keeping in mind the body structure and needs of women. All the features are loaded in such a manner that you can enjoy a smooth ride on this snowboard without putting much pressure on your body. Handling of the High Society Women’s Scarlet is smooth and quick. 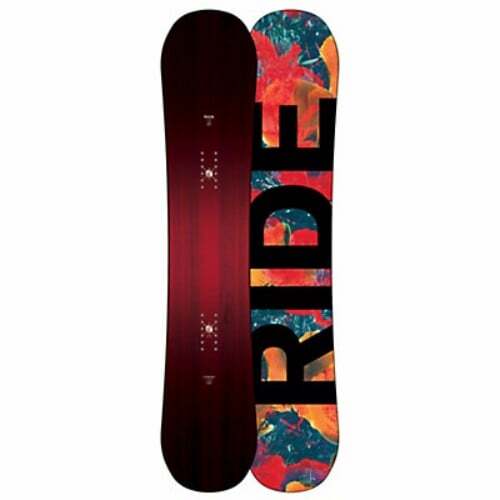 No matter you are riding on a soft powder or bumpy road, you can enjoy strong edge hold by using this board. No matter you want to have an aggressive ride or want to have simple lips both types or rides can be provided to you. The Scarlet Snowboard can be placed on its own when you are in the park. You can spin the board easily due to is zest pop. Smooth and stomping landings are one of the most lover features of this board. When the board comes in contact with snow, it grips the snow without any hesitation due to serrated edge. Scarlet floats on every kind of snow and will provide you with a stable ride. Mid-level flex is given in scarlet which will provide you with responsive pop. No matter you are jumping or taking a sharp turn, you can strongly hold the edge. You can go down on steep depths and can float on high speed when you are using this snowboard. The stiffness will allow you to have a safe ride with the snowboard along with making it quick. You can take turns quickly and easily if when the area is full of snow. The length of the snowboard is extra so that you can quickly float in the air. 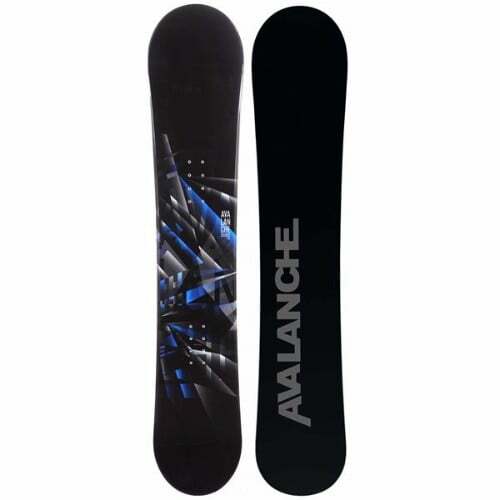 The price of the snowboard is also an amazing feature as you can enjoy so many things at low price. 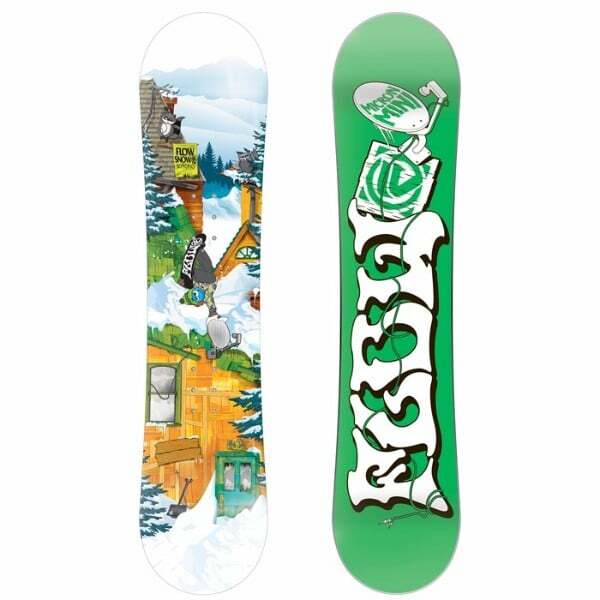 The board will float smoothly on any kind of snow adding fun to your journey. You can take sharp turns in easy method and can land smoothly. No matter what the speed of the snowboard is, it will not wobble, however, its stiffness can be improved, but other things are perfect.